Did you know the mouth is a window into the health of the body? It is important to detect dental problems early so that your mouth and your entire body remain healthy. 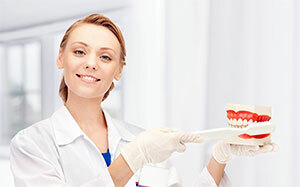 Did you know there are many things we can do to give you a beautiful, bright smile? Did you know people judge the appearance of your teeth to reflect your cleanliness and self image? Did you know we can give you new white, gorgeous smile in as little as one or two visits? Did you know a recent study found people with beautiful, white smiles are viewed as more attractive, intelligent, happy, successful, kind and popular? Did you know we can easily get rid of those ugly unsightly silver fillings? Did you know uneven edges on your teeth can be easily contoured and re-shaped? Did you know we check for oral cancer, high blood pressure, and other health problems at every checkup? Did you know we can replace missing teeth with life-like, long lasting implant restorations in our office? Did you know we can stop your gums from receding? Did you know we can whiten your teeth as much as 14 shades lighter in one hour? Did you know we can make a custom denture to restore your youthful smile? Did you know gum disease can be a risk factor for heart disease, stroke, kidney problems, diabetes, obesity, and oral cancer, and can affect your overall health? We can treat gum disease and show you how to prevent it! Did you know neglected, unsightly teeth and bad breath can affect how your employer thinks of you representing the company? We can change that! 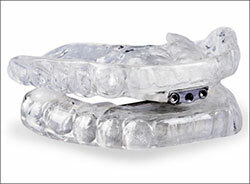 Did you know we make several types of comfortable, flexible mouth guards to help stop snoring and destructive clenching and grinding in your sleep? Did you know we offer safe, effective nitrous oxide sedation free of charge? Did you know the spaces between teeth can be filled in?